These brightly colored, durable plastic tools are made especially for kids. 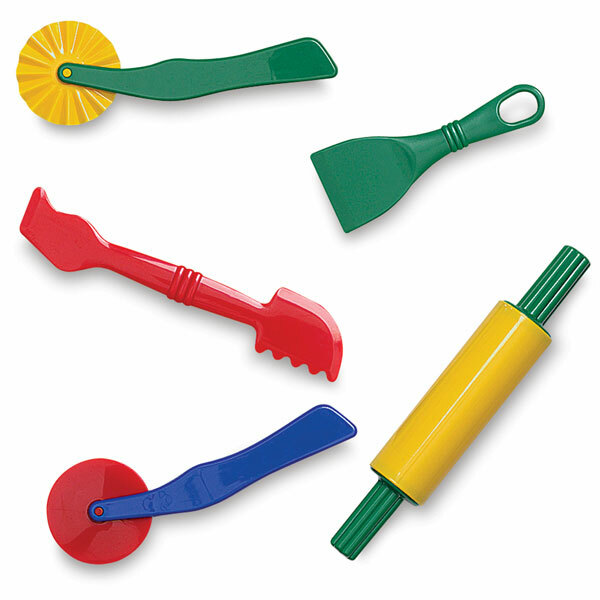 They can be used to create, decorate, and shape clay pieces. The five-piece set includes a plastic blade, flower roller, round roller, zig-zag cutting roller, and a double-sided large hobby craft tool. They are easy to use and easy to clean.